Silence is no longer an option for the Prime Minister Mr Narendra Modi on the Rafale deal, either he should come out and contradict the former French President’s statement and if he cannot do so, the Prime Minister must resign. 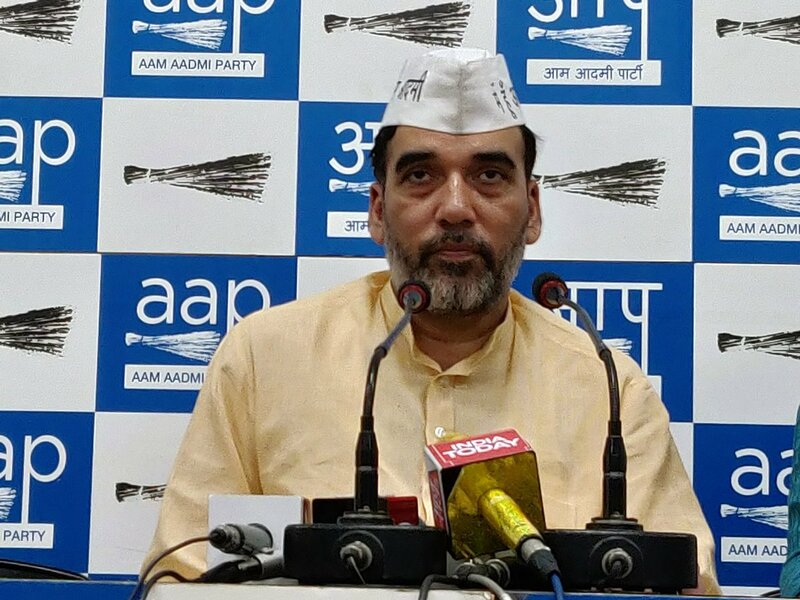 Addressing a press conference, senior AAP leader and party’s Delhi convenor, Mr Gopal Rai said the Rafale deal is bringing a bad name for the country internationally and Modi government should assure the country that it is not playing with national security. Though the scam surrounding the Rafale deal is being debated in the country since many months now, but the statement of former President of France, Mr Francois Hollande yesterday that his government had no choice in choosing the Indian company in the multi-thousand crore deal, since Reliance Defence Ltd was offered to them, leaves nobody in doubt that it was Prime Minister Modi himself who signed the deal. PM Modi is being the Prime Minister not for the Country but for Ambani’s family and is providing them all the pleasures and facilities instead of thinking about the growth of the country. Why is Prime Minister Modi not contradicting the statement of France President Mr Francois Hollande? 1)How did the price go upto Rs 1670 Cr per aircraft from Rs 570 Cr per aircraft? 2)Why the secret clause has been added to the contract now? 3)Joint Parliamentary Committee must investigate the whole matter to find out the detailings of the scam. 4)How did PM Modi announce a price three times higher than the agreed price of the aircraft? 5)On what basis was Anil Ambani’s newly created Reliance Defence Ltd inducted?